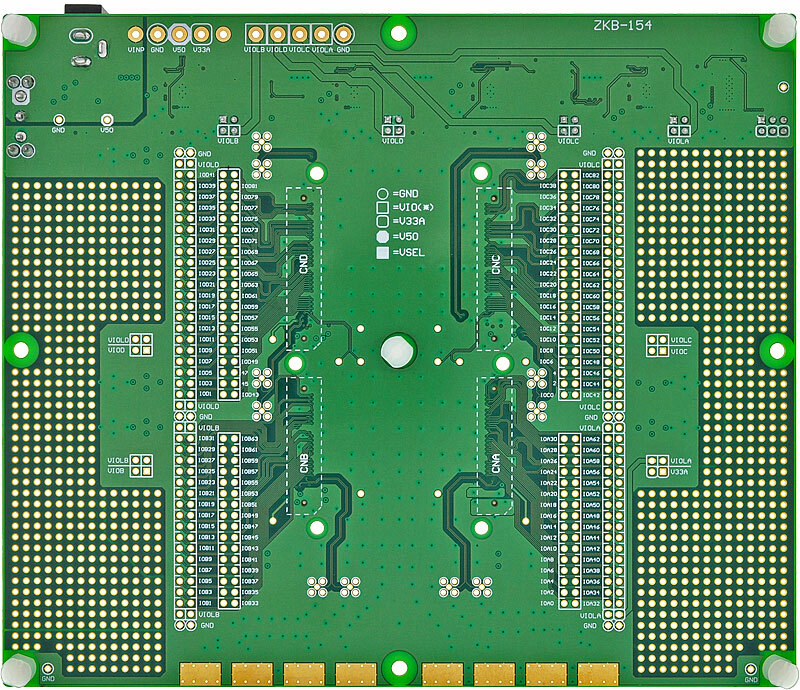 ZKB-154 is a universal board for ACM/XCM-L series equipped with 3.3V power supply. 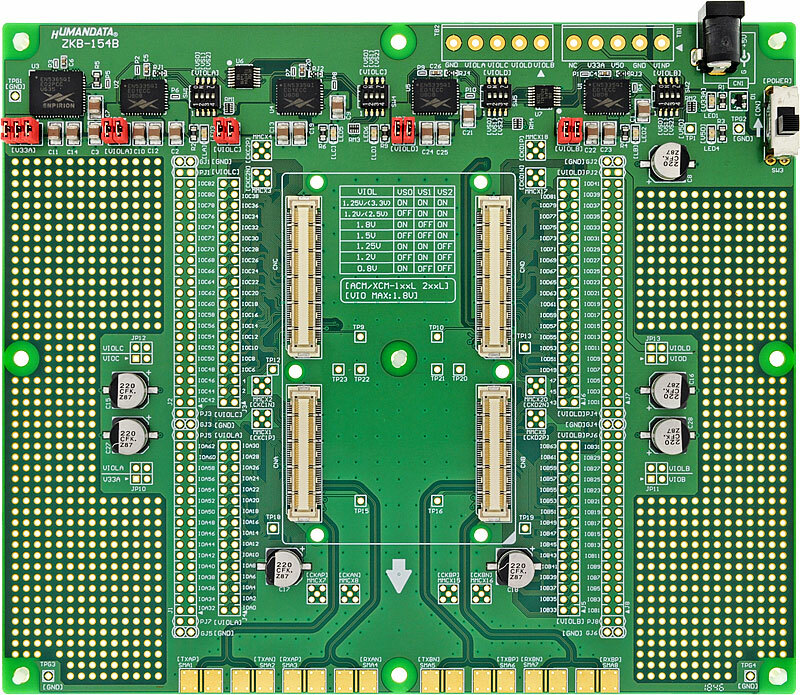 Four variable power supplies are equipped for Vccio. Voltage of IO power, VIOLA/VIOLB/VIOLC/VIOLD, can be set separately by using DIP switch. It is very useful for evaluation. 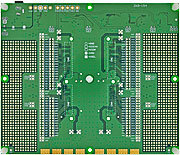 XCM-116L series can be mounted on this board. 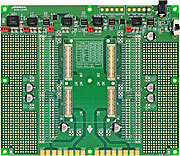 For other ACM/XCM-1, 2 series, please use ZKB-153, universal board (Type3) for ACM/XCM 2 series. * Please turn off the power when switching the voltage setting.